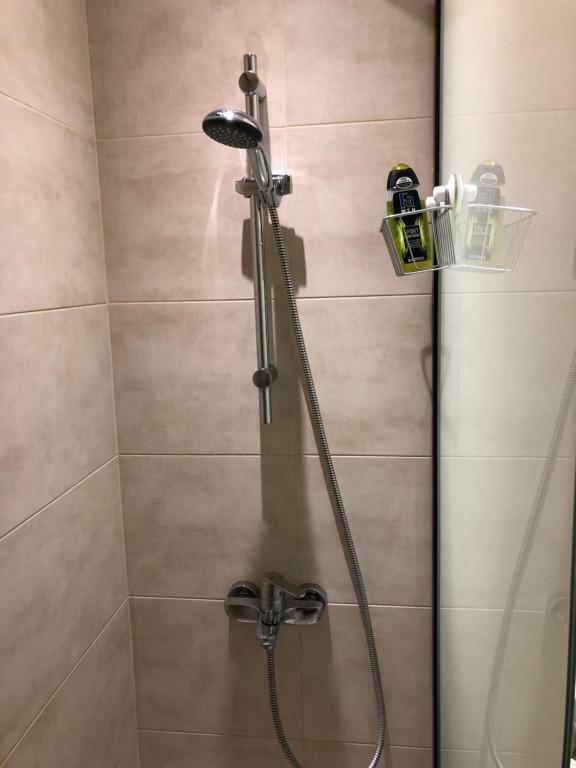 Valutata dagli ospiti dopo il soggiorno presso Modern city center apartment. Great aprtment. All facilies to make you feel like home. SPOTLESS clean. 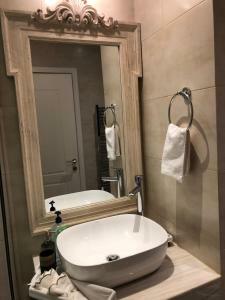 Perfect location easy to reach from airport by bus and really close to Ladadike district and all central locations. Margaret the host was super nice and so helpful. Sparkling clean excellent flat, centrally located but at the same time very quiet. Linen smelt amazingly, towels were very soft and the bed was so comfortable. The kitchen is big and very well equiped, we also really enjoyed the balcony!! 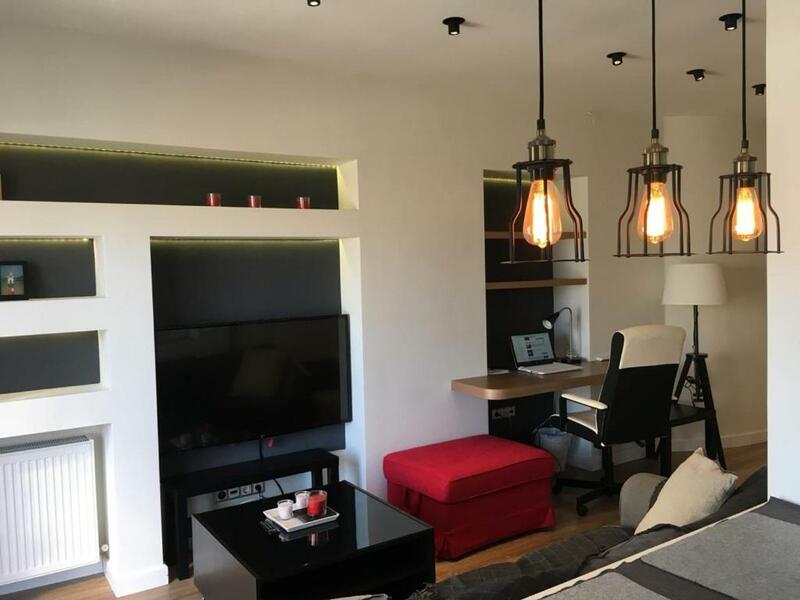 The apartment is thoroughly renovated and everything is brand new, but most importantly it is super warm and cozy and that made us feel like home from the minute we walked in! The hosts are very kind and helpfull!! For us it was perfect, staying there made us enjoy our trip even more!! Thank you Margaret and George!! 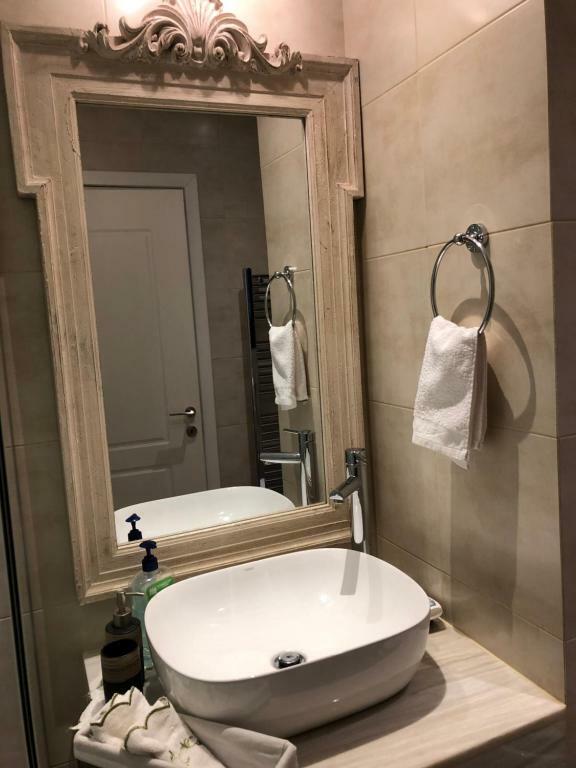 it is a fantastic apartment in the city center, 5 min walking to Ladadika (with all small nice restaurants, trendy bars and disco clubs) and 10 min walking to Aristotelous square. At check-in, we met Nikos, the father of Margaret, who was very nice and helped us a lot with many precious advice. 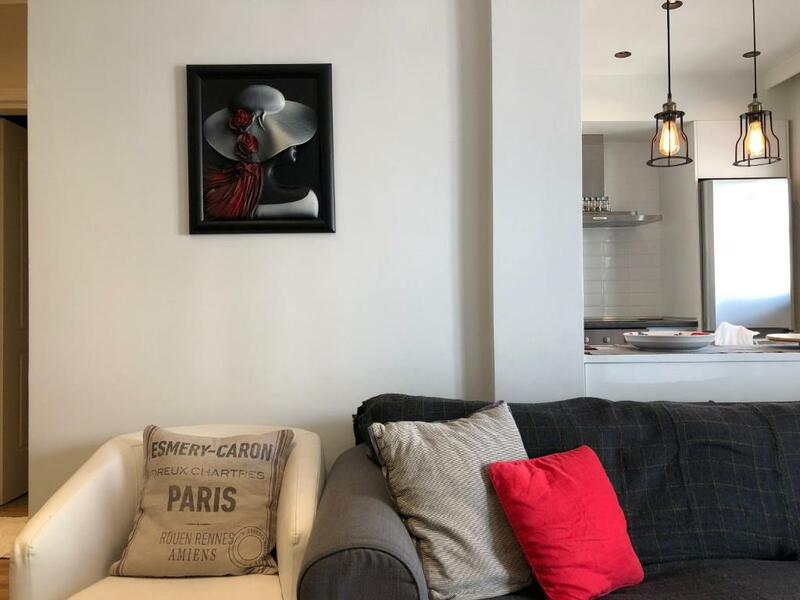 the apartment is furnished with elegance and style; aesthetic and very convenient with everything one would need for a great stay. we thank Margaret and her family and definitely will be back soon! I liked everything else about the apartment. 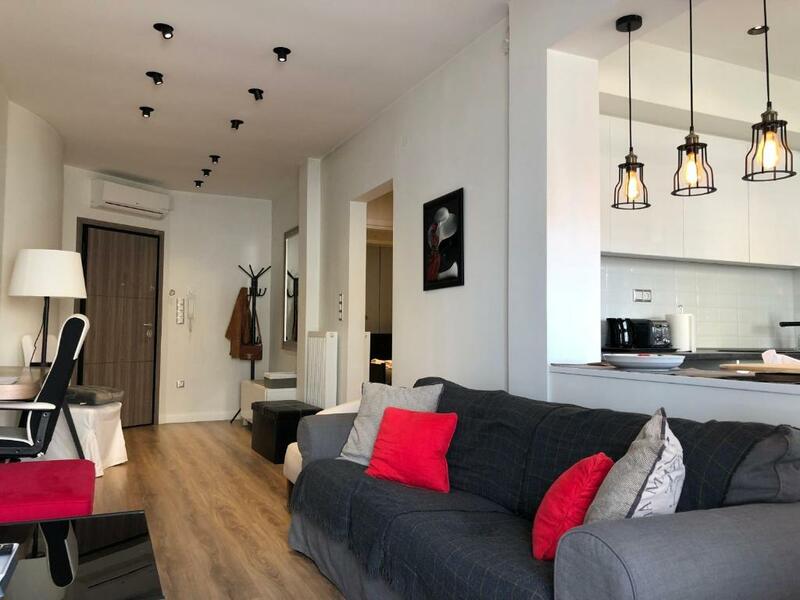 The location is great and just 7 minutes walk to Aristotelous square. Everything is really only a few steps away. It was clean, modern, practical equipped and comfortable. The owners are very warm, welcoming, polite and very helpful. I strongly recommend it to everyone! The appartment is located in a very convenient location, close to Ladadika. 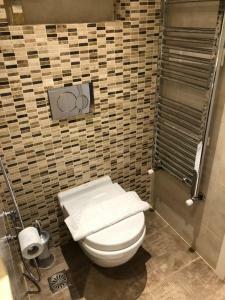 It is renovated and clean. The hostess was very polite and the communication was excellent. The apartment is at the top floor of an old building but it is completely renovated with a great balcony overlooking a quite street. It is surrounded by very cool bars and coffee places. I guess it is a neighborhood that slowly becomes very trendy. You are very close to the center of the city that makes everything very easy. The apartment is very luxurious and everything brand new with every amenity that anyone might need. It was very clean and in general we had the best time. I visit Thessaloniki 3-4 times a year and I feel that I found a place to call home. Υπέροχος χώρος, με γούστο & μεράκι!!! Ζεστοί & φιλικοί οι οικοδεσπότες σε κάνουν να νιώθεις σαν στο σπίτι σου. 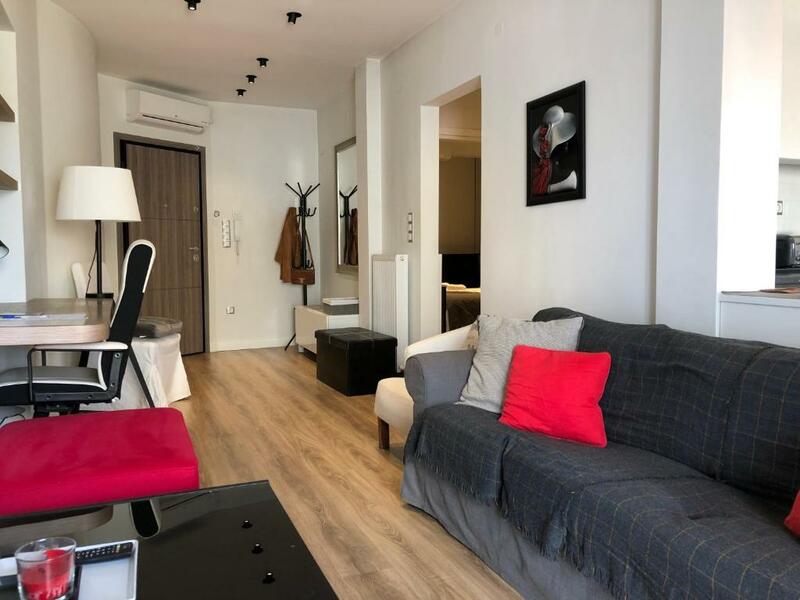 Assicurati un ottimo prezzo per Modern city center apartment, valutato di recente dagli ospiti con un punteggio di 9,8. Il Modern city center apartment sorge a Salonicco, a meno di 1 km da Piazza Aristotele, a 17 minuti a piedi dal Museo della Lotta Macedone e a 1,5 km dalla Chiesa di Agios Dimitrios. 1,8 km dalla Torre Bianca. L'appartamento presenta 1 camera da letto, una cucina con lavastoviglie e 1 bagno con vasca o doccia. A vostra disposizione una TV. La struttura dista 2,3 km dalla Rotonda e dall'Arco di Galerio. L'Aeroporto più vicino è quello di Salonicco, a 17 km. 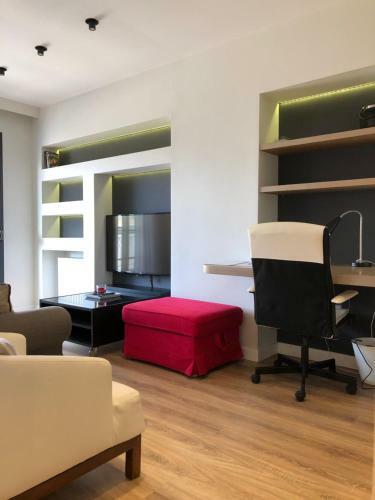 Quando vuoi soggiornare presso Modern city center apartment? Leggi prima di prenotare Modern city center apartment accetta le richieste speciali. Aggiungile nel prossimo passaggio!